With the Emancipation Proclamation failing to end the Civil War, Abraham Lincoln ordered the wholesale recruitment of African-Americans for the federal army. Chattanooga's geographic location made it perfect for enlisting escaped slaves. 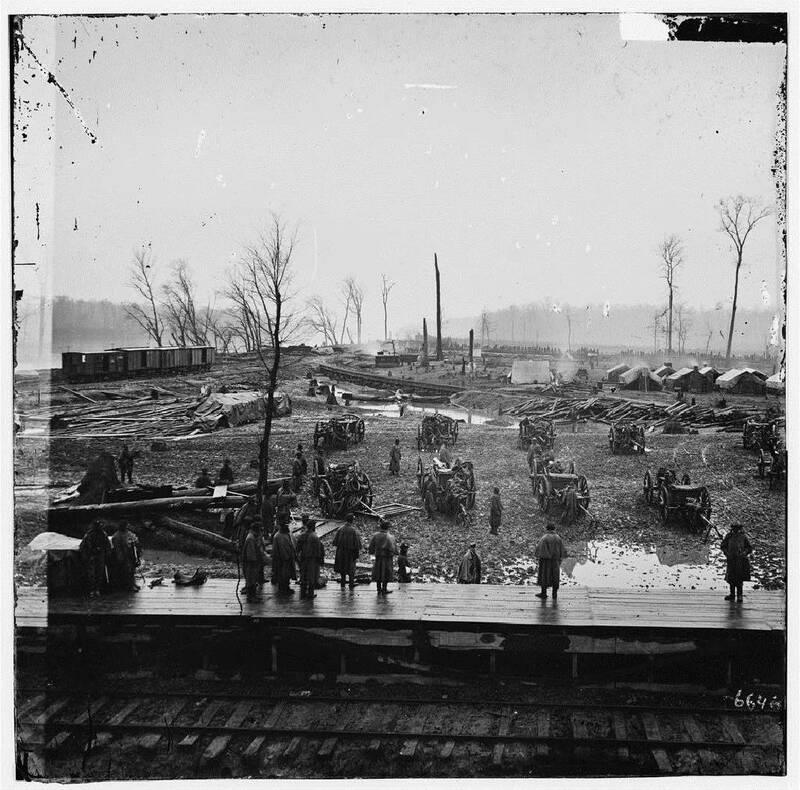 Union Maj. George Luther Stearns arrived at the headquarters of the Department of the Cumberland near Chattanooga on Sept. 6, 1863, to do just that. He had the highest connections to prominent abolitionists and politicians. A successful businessman who had begun as a poor orphan, Stearns had a stellar career fighting for African-Americans and the end of slavery. He helped the anti-slavery movement in Kansas. As one of the "secret six" he armed John Brown's failed slave uprising at Harper's Ferry in 1859. And he helped found the Freedman's Bureau to benefit former slaves and poor whites. Stearns recruited African-Americans for the famed 54th Massachusetts (and the 55th). In Maryland, Pennsylvania and Tennessee, he would recruit 13,000 men. He paid with private donations for his operations in opening camps, hospitals and schools for former slaves of both sexes. Wagon trains of recruiters risked their lives moving across the countryside in search of enlistees. Public meetings recruited 500 men per week for the ranks of the 12th, 13th, 14th, 15th, 16th, 17th, 18th, 40th, 42nd, 44th, 101st, 106th and 110th infantry and the 1st and 7th Heavy Artillery regiments. The new regiments had white officers, but they received pay based only on former rank not their new responsibilities. So many volunteers came forward to fill those positions, however, that a board had to carefully screen applicants. Those soldiers proved themselves, especially during the Nashville Campaign. Members of the 14th United States Colored Troops (USCT) repelled Joseph Wheeler's Confederate cavalry charge at Dalton, Ga., on Aug. 15, 1864, as their white comrades waved hats and gave three cheers. One private, Henry Prince of Company A, seemed to speak for his whole regiment when he declared, "I am ready to die for Liberty." A bullet went through his heart. Those freedmen fought bravely at Athens and Decatur, Ala., and at Fort Pillow, Tenn. The new black soldiers had problems, however. Transportation slowed the equipping of the new units. Civilian laborers received better pay than soldiers. Bounty agents cheated black soldiers until Gen. William T. Sherman and Gen. Joseph Dana Webster stopped the practice. Some "99 percent" of white officers reportedly wanted nothing to do with blacks in the Army. Sherman saw them as cheap labor unable to take military training. Gen. George H. Thomas noticed, however, that black units had a remarkably low rate of desertion. Stearns found civilian jobs for their families. New Union regulations prevented further recruitment of African-Americans from former Tennessee slaves. All other recruits had to come from other states as the federal armies moved south. At Athens, Ala., and Dalton, Ga., white officers, against the pleas of their black soldiers, surrendered their commands to overwhelming numbers of Confederate soldiers. The ragged rebels robbed the black soldiers of shoes, overcoats and hats. Prisoners were shot and killed on any pretense. Soldiers of the 7th Heavy Artillery were among the victims in the Fort Pillow Massacre. Black prisoners often suffered terrible fates. Some escaped slaves were reclaimed by their masters. Other prisoners rebuilt railroads and fortifications or were sent to horrible prison camps such as Andersonville. Placed "under guard and lash," a Confederate newspaper reported, "if any of them should live long enough, they will be reduced to their normal condition [as slaves]." After the war, African-American military service qualified for federal pensions. Unscrupulous attorneys signed up gullible clients by falsely claiming that pensions also would go to former slaves. At Chattanooga, the USCT made a beginning in the struggle for racial justice. Some units were allowed black officers. Black and white posts of the veterans' Grand Army of the Republic held conventions together. Some posts had members of both races. African-Americans, especially the women, decorated the graves of Union soldiers on Memorial Day in cemeteries in Chattanooga and throughout the South. For more information on Chattanooga's role in recruiting African-American soldiers in the Civil War see E. Raymond Evans, "Contributions by United States Colored Troops (USCT) of Chattanooga & North Georgia during the American Civil War, Reconstruction and Formation of Chattanooga" (2003). Robert S. Davis is senior professor of history at Wallace State Community College in Hance-ville, Ala., and an award-winning author. For more visit Chattahistoricalassoc.org.